These illness are known as “Compassionate Allowance” conditions and typically qualify for expedited disability approval. Maintaining a list of Compassionate Allowances enables the SSA to reach a disability determination quickly, enabling people with the most serious disabilities to be approved in weeks instead of months. What Types of Conditions qualify for Compassionate Allowances? Thyroid cancer: There are four types of thyroid cancer: follicular, medullary, papillary, and anaplastic. The latter is generally regarded as the most challenging to treat because the cells proliferate and spread at a rapid rate. With all types of thyroid cancer, symptoms tend to become obvious only after the disease has reached the advanced stage. Symptoms include constant throat or neck pain, difficulty swallowing, and a lump in the neck. Non-small lung cancer: This form of cancer has three types: squamous cell carcinoma, large cell carcinoma and adenocarcinoma. There are rarely any symptoms during the early stages, but as the cancer spreads, patients have difficulty breathing, experience a persistent cough accompanied by chest pain, and regular lung infections. If you have been diagnosed with a non-small cell lung cancer that recurs despite treatment or has been deemed unrespectable or inoperable, you automatically qualify for the Compassionate Allowances program. Kidney cancer: Also known as renal cell carcinoma, kidney cancer is a rare condition that affects approximately 28,000 people a year. Common symptoms include bloody urine, back pain, and abdominal pain and swelling. Like many forms of cancer, it is asymptomatic until it has spread throughout your body. If the tumors are untreatable, recurrent, or cannot be removed surgically, you qualify for a Compassionate Allowance. Idiopathic pulmonary fibrosis: Idiopathic pulmonary fibrosis is a condition that causes lung tissue to gradually thicken and harden, leading to scarring and inability to move blood properly into the bloodstream. Over time, this difficulty leads to hypertension, respiratory failure, or heart failure. Life expectancy is generally three to five years from the time of diagnosis, as there is no known cure. You can find the other Compassionate Allowance conditions, along with their criteria for eligibility, on the SSA's website. What Type of Medical Evidence Is Needed to Qualify for Compassionate Allowances? Because every Compassionate Allowance is listed online, you can review your required medical criteria with your doctor. You may need to perform an additional test to ensure eligibility for disability benefits. Social Security Disability Insurance (SSDI): provides monthly benefits and Medicare access to disabled workers who paid into Social Security via payroll taxes. The majority of Social Security applicants qualify for SSDI. So long as you’ve worked just part-time throughout life, you’ll be eligible for SSDI. Supplemental Security Income (SSI): pays benefits to people with disabilities who have limited income and financial resources. Children and the elderly are frequent recipients. If your disability is on the published SSA Compassionate Allowances list, you’ll simply need to clearly state the fact on your benefits application form. Applicants who qualify for Compassionate Allowances will have their claims expedited and, if approved, receive their benefits more quickly than other claimants. If your application and accompanying medical documentation indicate that you have a Compassionate Allowance condition, the SSA will flag your claim automatically and process it in as little as 10 days. You should receive your benefits no later than five months after you completed the initial application. To maximize your chances of a successful disability claim, you should fill out the application as carefully and thoroughly as possible. When your information is well-organized and presented clearly, it will be easier for the SSA to locate your medical records. An incomplete application package due to incorrect information or missing medical data will slow down the approval process, forcing you to wait longer for the financial assistance you need. When you are struggling with a serious illness that leaves you unable to work or preform normal day-to-day tasks, a Compassionate Allowance will limit the time you have to wait for benefits. 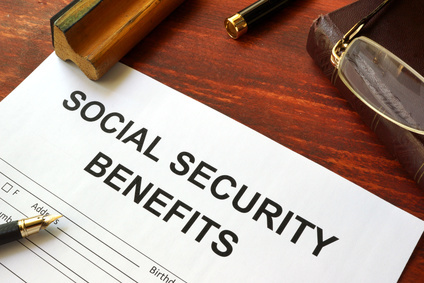 If you are planning to apply for Social Security benefits, check the SSA’s website to find out if your condition is listed as a Compassionate Allowance. If it is, make sure that you note the fact on your application form. If it isn’t and you believe that it should be listed, the SSA actually allows you to propose a new listing for consideration. This option is one of the many ways that the SSA works to provide you with both financial help and peace of mind when disability takes hold. Why Are Compassionate Allowances Important? Make sure to review your required medical criteria with your doctor. Your claim could be approved in as little as 10 days.